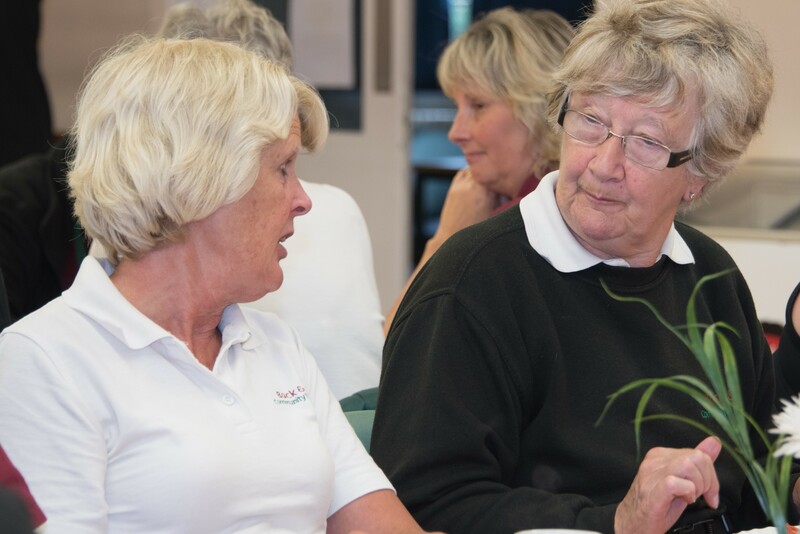 Here are some of the questions we’re often asked by our customers – do get in touch with any others you have on 01789 471595. Please call us on the number above between 9.00am – 4.00pm, Monday to Thursday, and we’ll confirm your approximate collection time on the Friday before you travel. If you need to cancel, phone us as soon as possible so we can reallocate your seat (you can leave a message at any time). Every Monday (excluding Bank Holidays) between 9.30am – 2.00pm, although times may vary slightly depending on how many passengers are travelling on the day. £6.00 per return journey (including one free carer place, which must be booked at the same time). 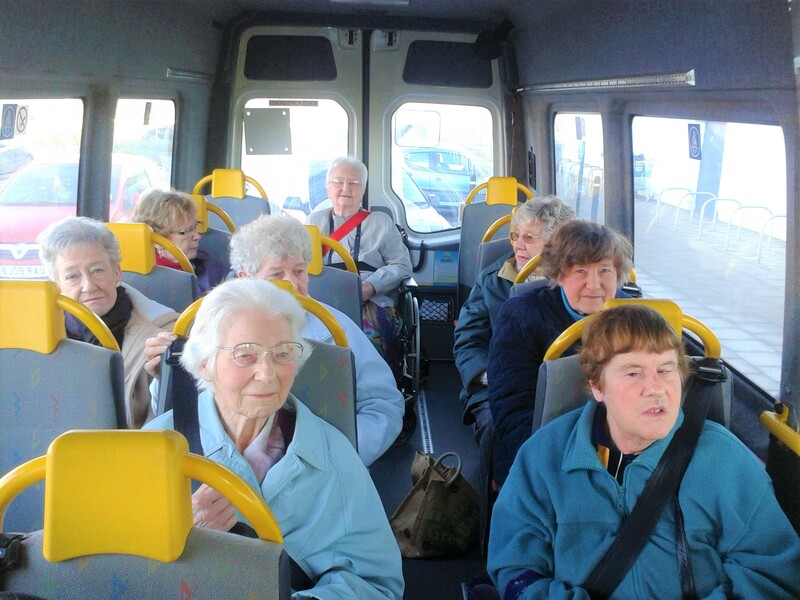 How accessible are your minibuses? 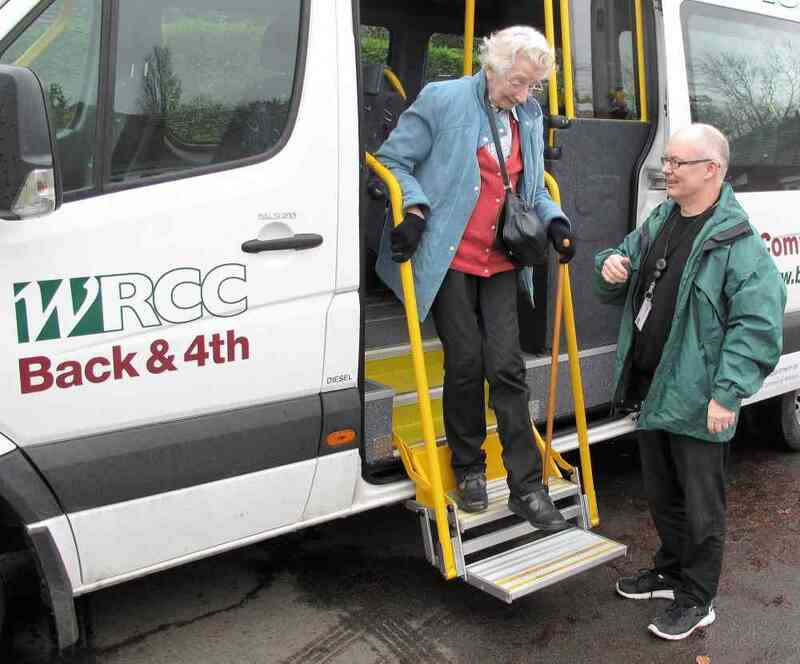 All our minibuses are wheelchair accessible and our staff are fully trained to help you board and remain safe during your trip. You can also bring assistance dogs or walking aids, provided you let us know of any mobility or accessibility requirements you have when booking with us. What happens when I get to the supermarket? If you don’t have someone to help you with your shopping, you can ask for one of our volunteer escorts to help you – just let us know when you make your booking. We can help in lots of ways, such as reading labels, reaching items from shelves, or pushing your wheelchair. How long will I have to do my shopping? You’ll usually have about 2 hours, although this may vary slightly depending on how many passengers are travelling on the day – we’ll confirm when we collect you. How much shopping can I buy? 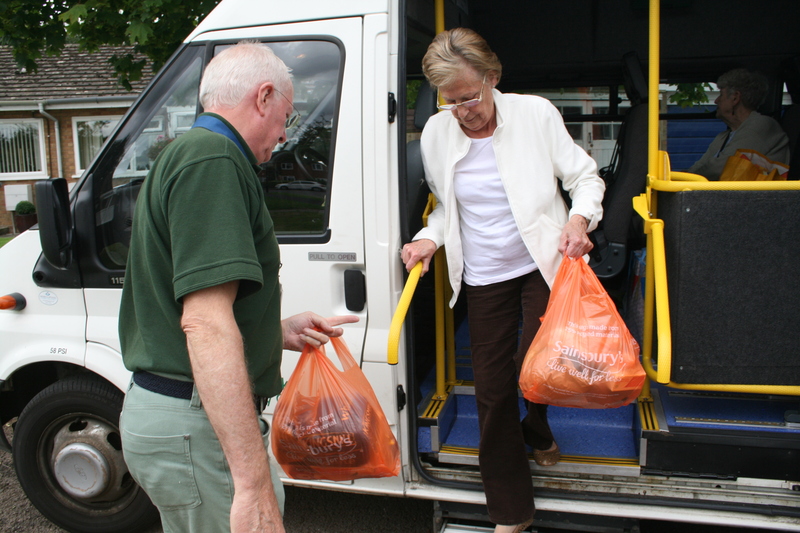 As Shoppa-Hoppa is a minibus service, for our passengers’ comfort and convenience we limit space to the amount of shopping you can reasonably carry yourself. It’s such a great service; I’m able to get out of the house, have a chat with new friends while we are on our journey, then when we arrive someone is there to help me get round the store. Sometimes we even stop and have a coffee – a real treat! The driver is always so cheerful and helpful and I’d be lost without it!